A BIG THANK YOU! | Daddy's in Charge? As someone whose main way of connecting to the outside world is through the written word, my blog means a lot to me. Its humbling that there are people out there that would take the time to read what I have to say. When I started up this blog it was initially a way to let people know that kids are crazy, not just mine. I have had feedback from people letting me know that the stories I have been sharing are much like what they are going through as parents. Its nice to know that we are not alone in what we deal with as parents, dads and moms. I have surprisingly had thousands of visitors at my site, mostly because of some reviews that I have posted about the Disney Dream cruise ship. I know those people come to my site mainly for that reason but many of them have taken the time discover who I am and the OTHER stories that I have shared. 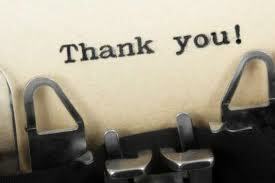 I just wanted to say thank you to everyone that has taken the time to browse through my site. Way more people have read my blog than I ever expected. I am entered in a contest to find the 25 best Daddy Blogs. If I were to be put on this list I would then be up there with other authors such as Chekov, Shakespeare, Tolstoy and Dr. Seuss. Please take a second to vote for me in the Circle of Moms Top 25 Daddy Blogs. There is nothing to sign up for and it literally will take a few seconds to cast a vote, which I would hope is for me. Just click on the image below and you will be taken taken to the page where you can show your love. Your GRATITUDE expressed in this post is really cool! I found you as a result of the list and I just added to your vote count! A little bit helps. I'll have to remember to be consistent to help you out a bit more! As a stay home dad for the past six years and attempting to be a blogger for the last three years, finding that list has INSPIRED me to develop some consistency. I am glad that there are men out there that are doing what I am doing and want to be doing with my parenting as well as the blog thing! Good luck on climbing the voting ladder.